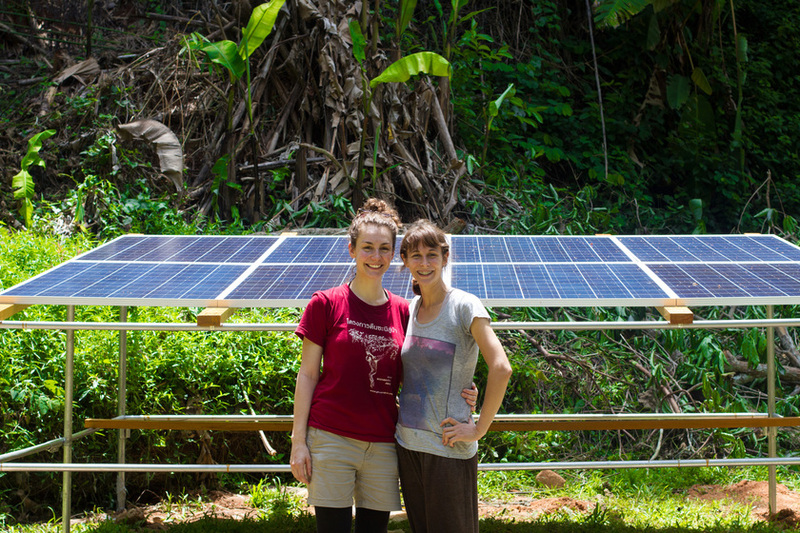 In June 2015, supported by the Atelier Ten Foundation, Tilly Lenartowicz headed to Phuket, Thailand to oversee the installation of an off-grid photovoltaic system at the Gibbon Rehabilitation Project’s Rehabilitation Site in Khao Pra Theaw National Park. The Gibbon Rehabilitation Project (GRP) is a charity dedicated to the protection of gibbons threatened by their dwindling forest habitat and poaching for illegal wildlife trade. Deforestation and poaching caused the near extinction of local gibbons on Phuket in the 80s. In particular, Phuket is notorious for the exploitation of gibbons and other wild animals as tourist attractions and pets. The GRP aim to put an end to this illegal use of gibbons, rehabilitate previously captive gibbons, repopulate the last remaining rainforest on Phuket, create awareness in the importance of environmental conservation and provide opportunities for volunteers to study gibbons. The GRP hosts visitors at their rehabilitation site on the edge of the rainforest where they are currently caring for more than 30 gibbons, a few slow lorises and some langur monkeys with the hope to release as many as possible into the wild. The photovoltaic panels were installed to provide the site with its first electricity source. Currently the power is being used for fans and lighting at the visitors centre. The power will also be used to run a screen showing educational films including footage of gibbons in the wild and to charge a credit card payment machine, which will facilitate donations from visitors. Furthermore, the GRP hope to install a fridge in the near future to enable long-term storage of food and medicine for the animals. 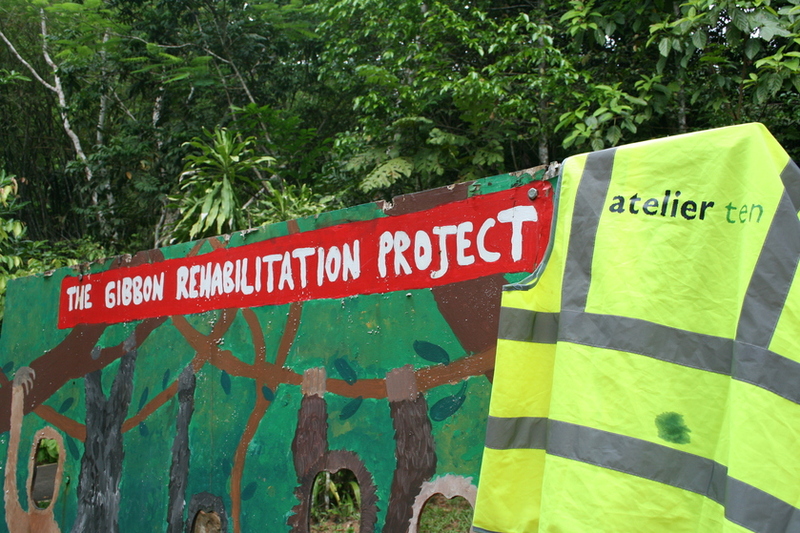 This photovoltaic installation project supported by the Atelier Ten Foundation contributes to the GRP’s wider Sustainable Development Plan that sets out long-term objectives aiming to educate and engage more people in conservation, environmental protection and sustainable lifestyle, as well as continuing to increase the success rate of rehabilitating gibbons and releasing them into the wild. The project was made possible through the dedication of all staff and volunteers at the GRP and, in particular, through the commitment of Helen Thompson, a long term GRP volunteer and Mon, the GRP Manager. Tilly also received support from many knowledgeable and experienced A10 employees. 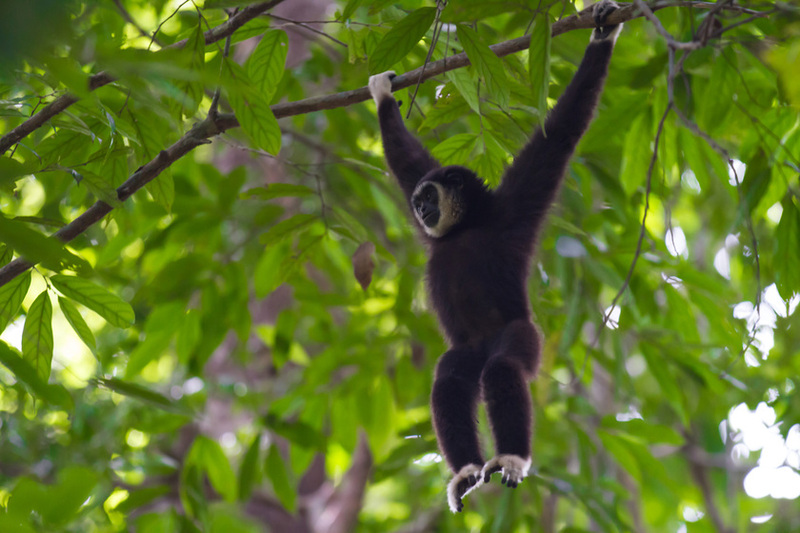 For more information about the GRP please visit The Gibbon Rehabilitation Project.